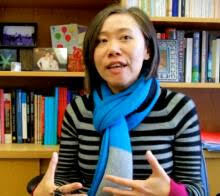 Speaker Bio: Helen Hok-Sze Leung (BA, Oxford; MA, Ph.D. UW-Madison) is Associate Professor at Simon Fraser University. She has published widely on queer cinema and is the author of Undercurrents: Queer Culture and Postcolonial Hong Kong and Farewell My Concubine: A Queer Film Classics. She co-edits the Queer Asia book series at Hong Kong University Press and serves on the editorial board of the Journal of Chinese Cinemas (Routledge) and TSQ:Transgender Studies Quarterly (Duke). She is currently working on two research projects: Vancouver as Asian City, which examines transpacific connections in Vancouver’s film and culture industries; and The Sound of Queer Cinema, which explores queer cinema through sonic perspectives. Between 2015-2016, she is the Faculty of Arts Visiting Scholar at the School of Culture and Communication at The University of Melbourne.